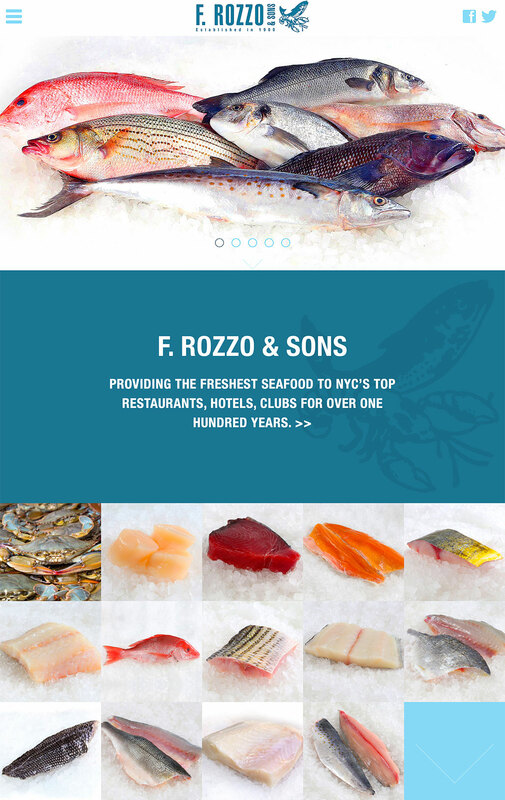 For over a century, many top chefs in New York have purchased seafood from one spot: F. Rozzo & Sons. 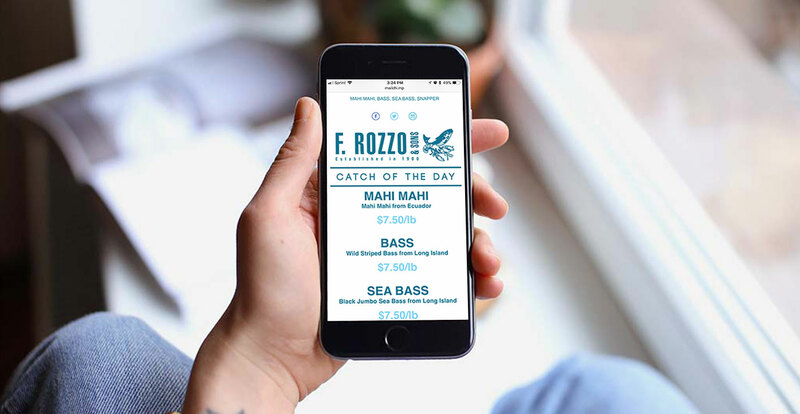 Carnsmedia helped bring this experience online with an easy-to-navigate website, brilliant photography, social media and a daily email of seafood specials sent to a short list of New York chefs. 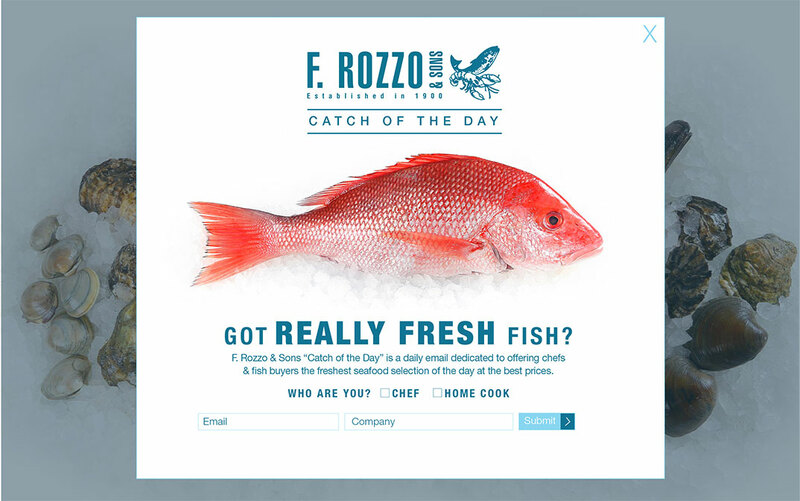 Carnsmedia designed a custom website so a busy chef or home cook could easily buy the “Catch of the Day” without leaving the sauté station or living room sofa. 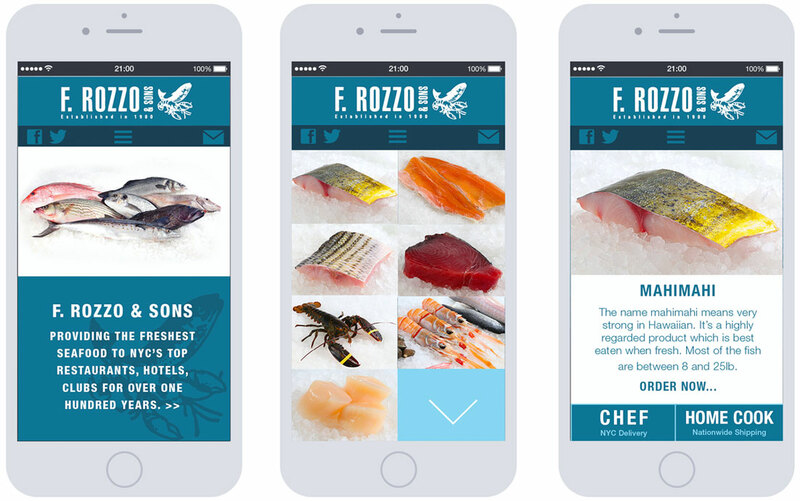 Carnsmedia set up a full photo studio right in the middle of F. Rozzo and Son’s refrigerated room so the products stayed fresh. 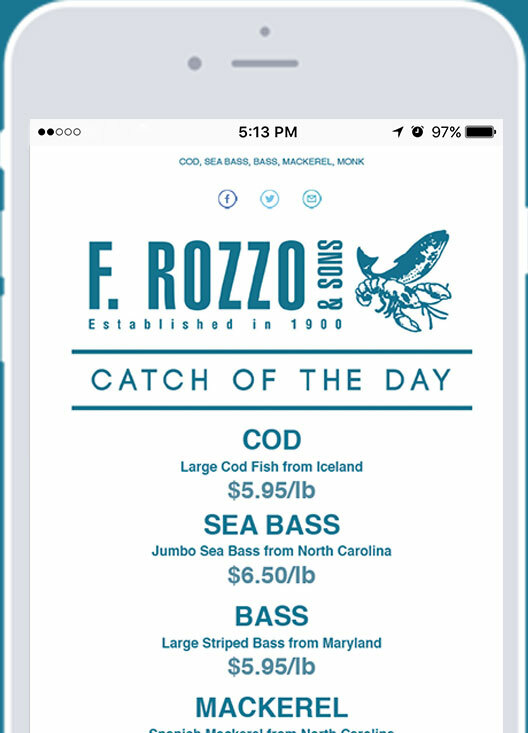 Carnsmedia delivers “Catch of the Day,” a private daily email with the freshest seafood from the seafood market at the best prices to the top chefs in NYC. 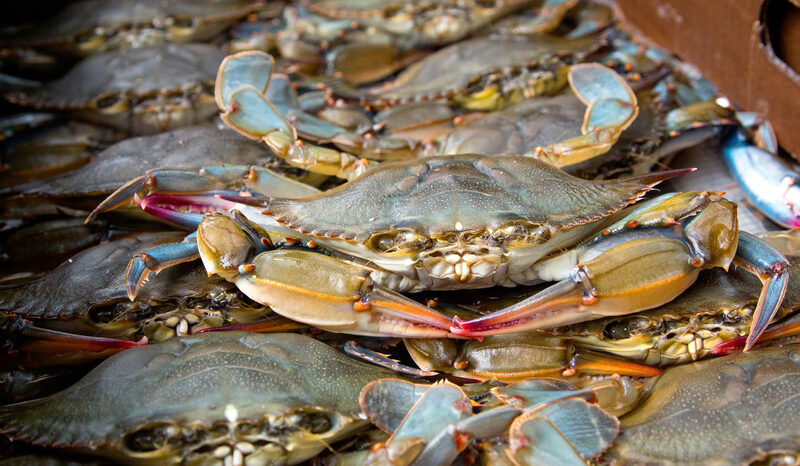 Carnsmedia designed and manages social media pages, email marketing, and a Best in Class website, which all generate a lot of business for my seafood company. I highly recommend using Carnsmedia.